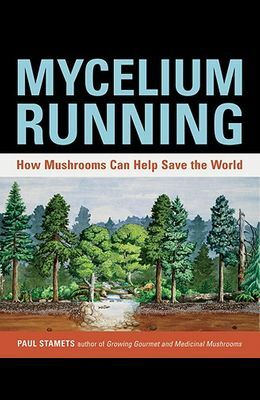 Mycelium Running is a manual for the mycological rescue of the planet. That's right: growing more mushrooms may be the best thing we can do to save the environment, and in this groundbreaking text from mushroom expert Paul Stamets, you'll find out how. The basic science goes like this: Microscopic cells called mycelium--the fruit of which are mushrooms--recycle carbon, nitrogen, and other essential elements as they break down plant and animal debris in the creation of rich new soil. What Stamets has discovered is that we can capitalize on mycelium's digestive power and target it to decompose toxic wastes and pollutants (mycoremediation), catch and reduce silt from streambeds and pathogens from agricultural watersheds (mycofiltration), control insect populations (mycopesticides), and generally enhance the health of our forests and gardens (mycoforestry and myco-gardening). In this comprehensive guide, you'll find chapters detailing each of these four exciting branches of what Stamets has coined mycorestoration, as well as chapters on the medicinal and nutritional properties of mushrooms, inoculation methods, log and stump culture, and species selection for various environmental purposes. Heavily referenced and beautifully illustrated, this book is destined to be a classic reference for bemushroomed generations to come.